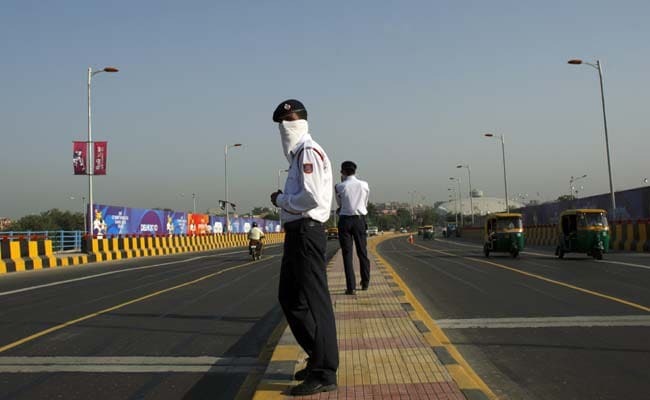 New Year's Eve: The Delhi Traffic Police has made arrangements to ensure smooth flow of traffic for New Year's Eve. New Delhi: As people are gearing up to celebrate New Year's Eve in the capital, there have been arrangements made for controlling traffic across the city by the Delhi Traffic Police. The arrangements have been done to ensure the smooth flow of traffic for New Year's Eve. Traffic arrangements have been made in many areas across Delhi, namely, Greater Kailash, Nehru Place, Defence Colony, New Friends Colony, Vasant Vihar, Laxmi Nagar, South Extension, Laxmi Nagar, Vasant Kunj, Mehrauli, Dwarka, Kapasera, Karkardooma and many others, according to a Traffic police official. There are restrictions on public and private transport movement in Connaught Place from 8.30PM onwards today and these restrictions will continue to take place until the conclusion of the New Year celebrations. (ii) Near Patel Chowk on Rakab Ganj Road behind AIR. (iii) Near Mandi House on Copernicus Marg upto Baroda House. (iv) Near Minto Road on D.D. Upadhaya Marg and Press Road area. (v) Panchkuian Road on R.K. Ashram Marg, Chitragupta Road & Basant Road towards Pahar Ganj. (vi) K.G. Marg near Ferozshah Road or K.G. Marg to 'C' Hexagon. The traffic advisory also said traffic arrangements were made in Saket City Mall and PVR Saket.